Our programs offer support and education to economically challenged families so they may improve the quality of their work, lifestyle and finances. 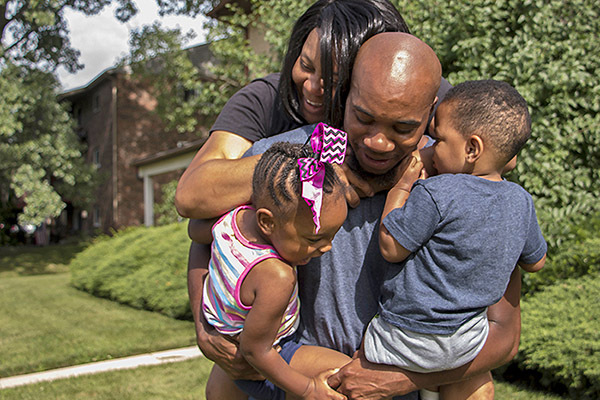 We help families prepare for, find and sustain stable jobs and housing, which is vital to long-term stability. Through specialized counseling services, our Employee Assistance Network helps employees remain productive and achieve balance between their work and personal lives. Provides counseling services that help workers achieve a better balance in their lives and be more productive on the job. Gives low-income families access to job training, education, mental health services, intensive career and family counseling, transportation and child care. Offered in partnership with the DuPage County Department of Community Services, the DuPage County Housing Authority and Worknet. Family Works is a comprehensive case management program that supports families as they strive for self-sufficiency. Family Works provides employment and education services, opportunities for youth, lease compliance, clinical and wellness services, and senior support services to families. A career and personal financial service center at Kennedy-King College. We help clients change their financial behavior and encourage them to make a long-term commitment to increasing income, decreasing expenses and acquiring assets. Our core services are career improvement and employment placement, financial literacy, and public benefits access. We also offer technology training on site. Jobs Plus supports work readiness and connects Altgeld Gardens residents with employment, education and financial empowerment services. It’s a model proven to help public housing residents find and keep jobs. STEP UP In Healthcare is a career laddering program that provides educational training and wraparound services for Temporary Assistance for Needy Families (TANF) recipients and low-income eligible individuals in high-demand healthcare fields. This program is funded by the Health Profession Opportunity Grants (HPOG) from the U.S. Department of Health and Human Services, Administration for Children and Families in partnership with Chicago State University. Works with community partners to guide families toward permanent housing and long-term stability through mental health services, housing, case management and employment counseling. Helps fathers become employed, financially self-sufficient and raise healthy children. The program includes job readiness training and placement, money management training, parent education and co-parenting counseling. Participants are encouraged to actively nurture and financially support their children. A Youth Opportunity Grant establishing broad partnerships and Youth Opportunity Community Centers. Individuals ages 16-21 can access services including employment, education, supportive services and specialized training projects such as culinary arts. It also helps to keep youth in school, provides valuable experiences with work and community service projects, and increases college enrollment. A project-based agreement between Chicago Cook Workforce Partnership, the Vera Institute for Justice, and Metropolitan Family Services to support lifelong learning opportunities and sustainable employment for youth ages 16-21 who have been placed on probation or parole in the past year.